Amid rumors suggesting AT&T is considering purchasing Time Warner, the parent company of networks like CNN and HBO, The Wall Street Journal says Apple is keeping a close eye on the situation as it would have a major impact on the television industry and could potentially impact future television deals Apple might make with the two companies. Apple at one time was reportedly in talks with Time Warner about a potential streaming television deal and has been rumored to have been interested in purchasing Time Warner assets at one time, but negotiations stalled and the two companies are no longer holding talks. Time Warner owns a huge number of assets that could have serve as the foundation of a streaming television service should Apple have struck a deal with the company. Networks like CNN, HBO, TBS, TNT, NBA TV, Cartoon Network, and Warner Bros. are all under Time Warner's umbrella, but with AT&T and Time Warner in "advanced talks" it seems unlikely Apple will do more than "monitor" the situation. A deal between AT&T and Time Warner could be finalized as early as this weekend, but The Wall Street Journal suggests "a host of other contenders" could offer deals for Time Warner, putting an end to the AT&T acquisition. Last year, Apple was pursuing a streaming television service that would allow it to offer a skinny bundle of channels from popular networks and cable companies for approximately $40 per month, but it wasn't able to establish the necessary deals and shelved its plans. 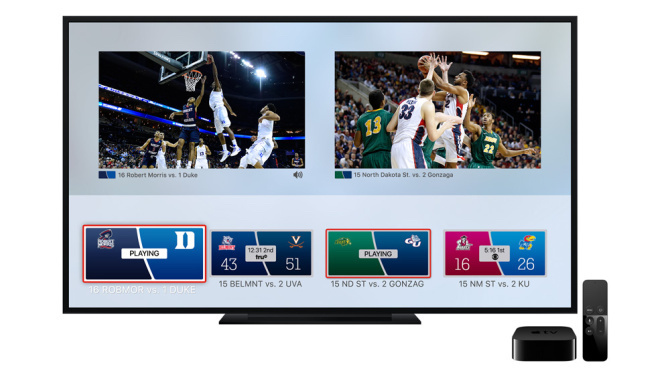 Apple is instead leveraging the Apple TV set-top box as a platform that allows cable companies and other content providers to offer television shows and apps through an Apple-designed interface and user experience. Just this week, Apple iTunes chief Eddy Cue said that television "needs to be reinvented" and called existing television interfaces "pretty brain dead." Secretary: Tim, The Wall Street Journal is on the phone. WSJ Guy: Tim are you watching this AT&T Time Warner thing???? Tim: Yes. I have CNN on right now in fact. Why? Five Minutes Later WSJ reports Apple "monitoring the situation"
God, so many idiots on this thread. The deal is for Time Warner, NOT Time Warner Cable. Time Warner is the parent company for the aforementioned TV networks, they have nothing to do with the cable provider. Not looking forward to the eventual future where there is one giant company that owns all video/music/etc., and another giant company that owns all the network connections to every home in the country (even worse if this is one company rather than two). Wouldn't mind seeing a few enforced breakups like what was done with Ma Bell back in the day, to better serve the public's needs (plus Ma Bell charged a lot, but at least everything worked). Oh look, more people making money by buying and selling companies rather than producing something. I wonder what all those people will do when there is only one company. AT&T isn't buying TWC, so why would their DSL division be involved? Don't take it too literally: I was commenting on the quality of customer service more than on the department being involved in the decision. are they monitoring the situation on an apple tv? AT&T owns Direct TV. If this goes through it will be another Comcast/NBC Universal travesty all over again. Imagine AT&T DSL customer service crossed with Time-Warner's. Compare that grisly vision with Apple customer service. Apple's worried that their call centers will get flooded with gift baskets and gorillagrams if this comes to pass. Apple is monitoring the situation? Why is that news and why should we care?